Highlands DPW rescued 8 ducklings that fell through a sewer grate on Snug Harbor Ave Tuesday morning. 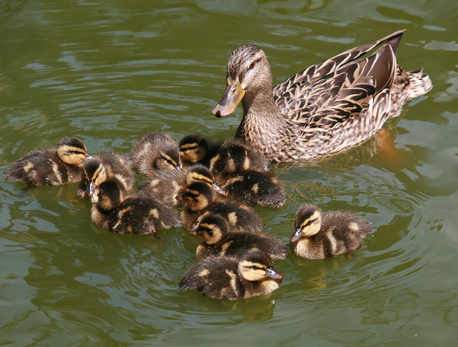 The mother duck was reported to be very grateful and quacked in their general direction. Previous Highlands, Have You Rebuilt? Next Should Highlands Be Counting Abandoned Houses? I saw this little family today swimming out of creek today Was the cutest thing and put a big smile on my face:) Right on! I forgot to ask…will they be receiving a plaque at the next council meeting? You guys gotta brush up on your sarcasm. You’re slightly challenged in that area. You really quack me up…….